Now this is interesting, since HDX sessions have up until now been based upon TCP (Framehawk is the exception which works great on high packet loss and latency scenarioes) but with alot of customers moving to cloud we are often faced with low packet loss scenarioes but a bit higher latency issues. So customers moving to Azure would often get a suboptimal experence based upon how far away the resources are. So how do we enable this evaluation feature? Well there are a couple of prerequsites. Add firewall rules to allow inbound traffic on UDP ports 1494 and 2598 of the VDA. Note: TCP ports 1494 and 2598 are also required, however they are opened during the installation of the VDA. In this release, 1494 and 2598 must be manually enabled for UDP. IPv4 VDAs only. IPv6 and mixed IPv6 and IPv4 configurations are not supported. 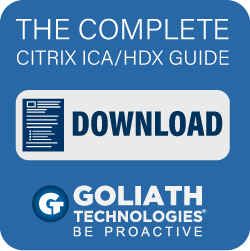 In Studio, enable the policy setting, HDX Enlightened Data Transport (it is disabled by default). To enable the policy setting, set the value to Preferred (or Diagnostic mode), then click OK. Preferred. Enlightened Data Transport over UDP is used when possible, with fallback to TCP. No additional configuration is required to optimize for LAN and WAN conditions. Diagnostic mode. Enlightened Data Transport over UDP is forced on. Fall back to TCP is disabled. Computer Configuration > Administrative Templates > Citrix Receiver > Network Routing > Transport Protocol for Receiver. Set the policy as needed: Enabled (EDT first with fallback to TCP) or Off (TCP). 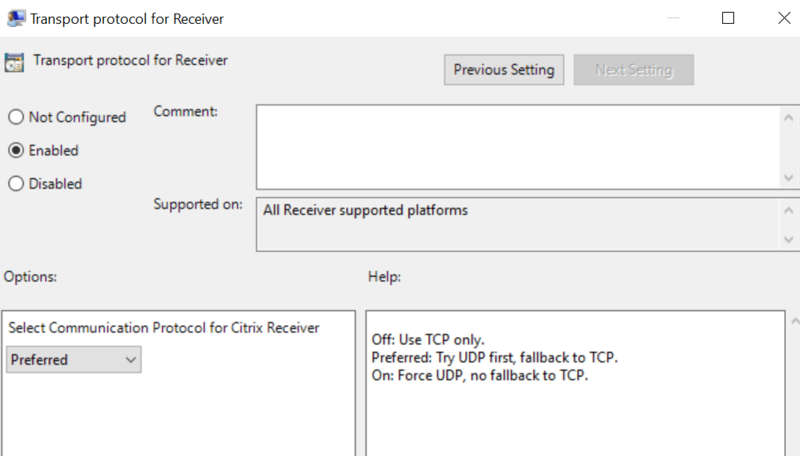 Select the Communication Protocol for Citrix Receiver for Windows as Preferred, On or Off. Another approach to see if its working is if course looking more indepth into it using WireShark. 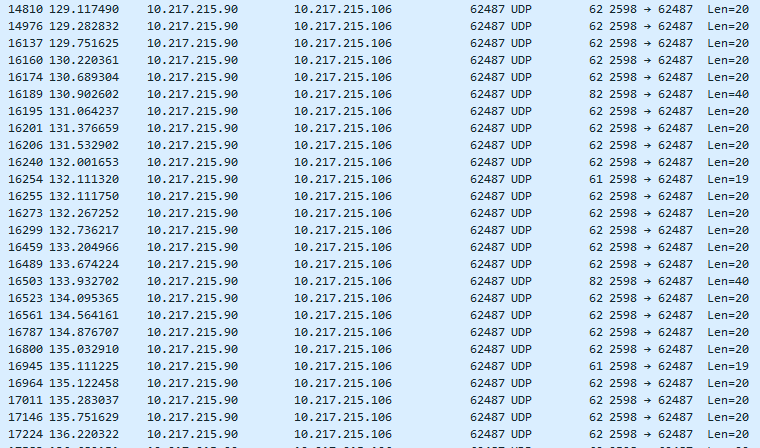 ALOT of small packets going back and forth here! so it scales the packet size depending if there is any more bits to be sent across the wire. My plans to do more in-depth review but I guess it will have to wait a bit before I get some things sorted out. It is of course a completly bummer is that it seems like this feature is not yet supported externally via NetScaler Gateway, which makes is difficult to try out properly in a cloud scenario. Thanks for the great insight. The discussion forum for Adaptive Transport a.k.a EDT is now public. Maybe you can edit the post to clarify, so we collect more feedback on performance results in one place. Keep up the great work, buddy! Thanks! 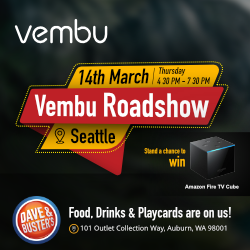 I created the post before the forum was available, updated the post now!